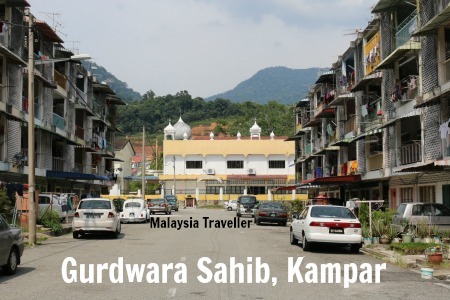 There are over 100 Malaysian Sikh Temples, or Gurdwara Sahib, with around 40 in Perak state alone where are a large proportion of the Sikh population tends to reside. 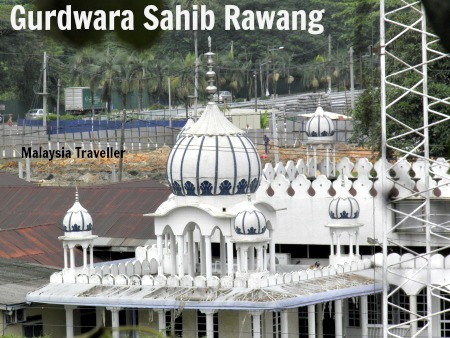 According to SikhiWiki there are thought to be around 100,000 Sikhs in Malaysia. 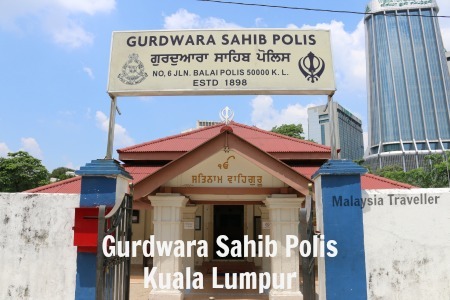 Many Sikhs were brought over to Malaya from India during the British colonial period to serve as police, soldiers or guards. 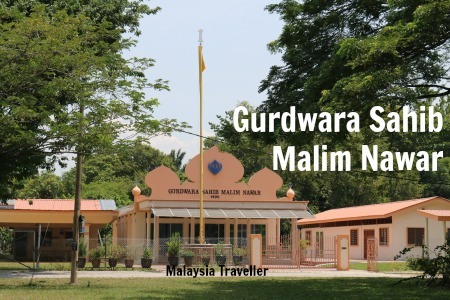 Subsequent generations have prospered and thanks to an emphasis on education, strong family bonds and communal support, Sikhs can now be found in all walks of life and in many senior professional positions throughout Malaysia. Some have emigrated to other countries. 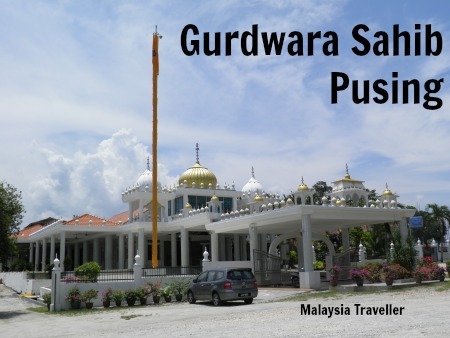 Here is my selection of Gurdwaras in Malaysia which I have photographed while travelling around the country. 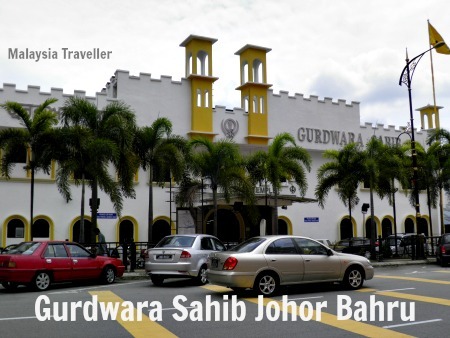 Sikhs settled in the State of Johor in the late nineteenth century, mostly employed in the Police Force or in the Johor Sultan's Guards. 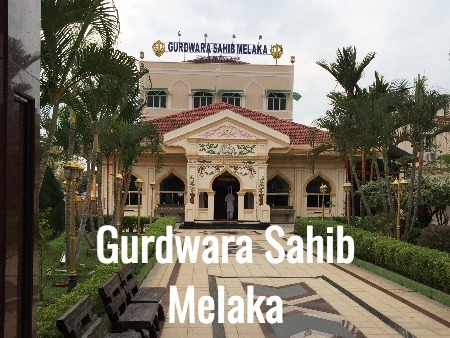 The present site was gazetted as a temple reserve in 1921 and upon this they constructed their first Sikh Gurdwara. 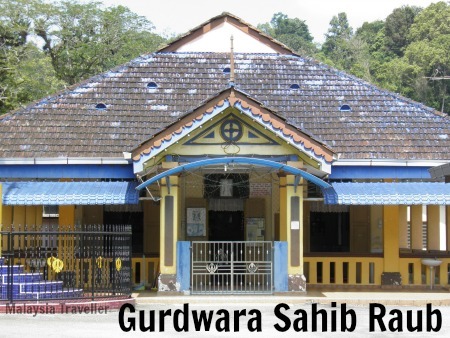 The temple was not used during the Second World War when Sikhs from Johor Bahru and Singapore were forced to flee to nearby towns. 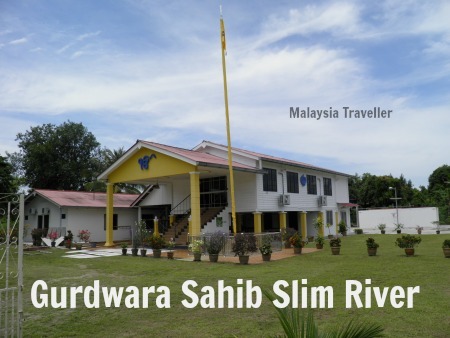 In 1957 the second Gurdwara building was constructed at a cost of about RM45,000. This was a two storey concrete building. 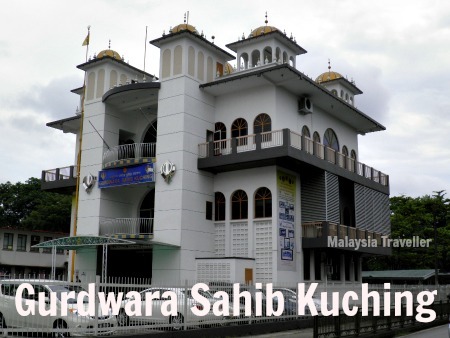 By the 1980's, it became necessary to construct a new larger Gurdwara Sahib building to cater for the growing Sikh population and the present Gurdwara Sahib was opened in 1992. As the name suggests this temple is/was for the use of Sikh policemen stationed nearby. This temple has the date 1937 above the entrance. 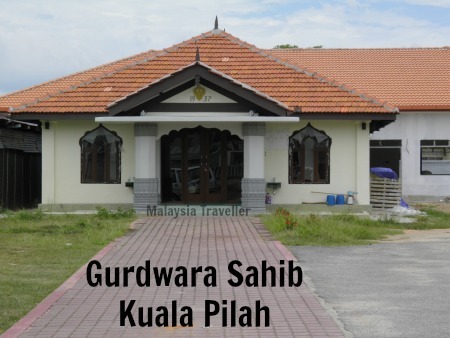 Like many other Sikh temples in Malaysia, it was mainly set up for use by Sikh policemen of which there were some 19 in Kuala Pilah during the 1930s. This Sikh Temple was opened in 1982. 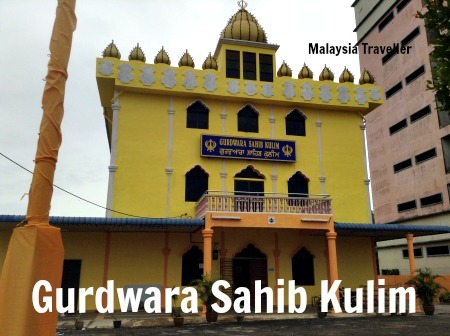 Sikhs were introduced into Kuching during the colonial era when most served as police, watchmen or prison wardens. 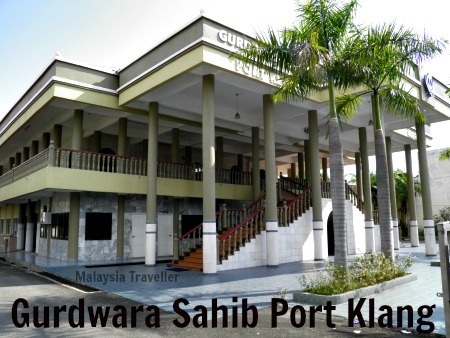 Sikhs have been living in Labuan since the 1860s. 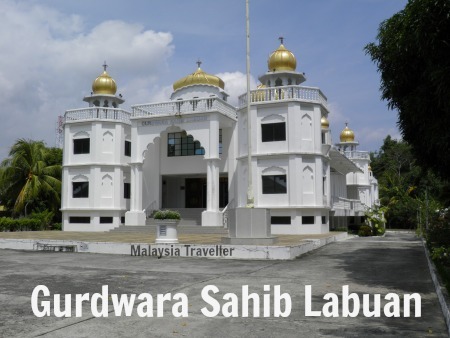 Many were originally employed with the coal mines and the police but later generations have been successful in various fields and the extravagant appearance of the Gurdwara evidences the prosperity of the Sikh community in Labuan. Sikhs worked as tin mine security guards, general labourers and bullock cart drivers but, judging by the prosperous appearance of their temple, the younger generations must have moved on to better paying occupations. The temple is located right next to the railway station. The address is Rawang Tin Fields indicating what the economic activity in this area was. The original temple was set up in 1938 but the current building dates from the Seventies. 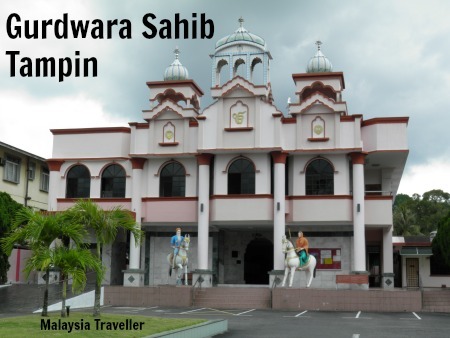 This completes my list of Malaysian Sikh Temples. I may add a few more to this list in due course.